Minneapolis-St. Paul boasts one of urban America's liveliest craft brewing and distilling scenes. Tattersall distilling (exterior pictured) produces a gin that outsells major national brands in parts of its home market. It’s a great time to drink local,” says Melissa Surdyk, fourth-generation owner of Minneapolis liquor and cheese shop Surdyk’s. As the craft beer and spirits boom continues, that statement could be true for nearly any U.S. city. But it’s an especially robust time for local brewing and distilling in the Twin Cities of Minneapolis and St. Paul, Minnesota. 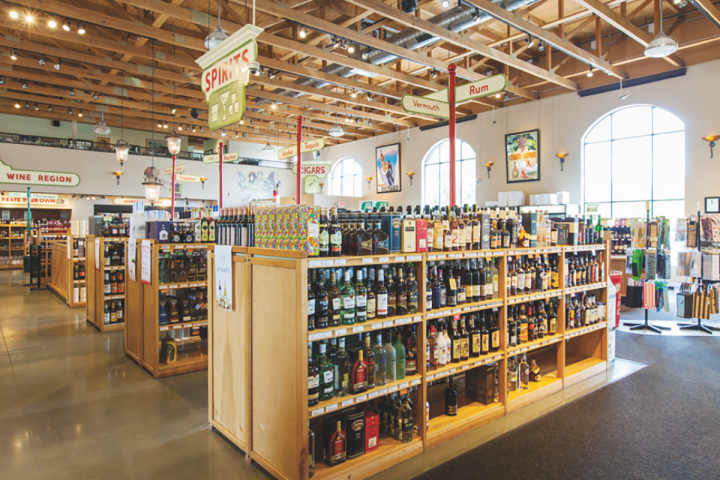 At Surdyk’s, a dozen of the store’s 150 top-selling spirits are locally made, and 29 of the 50 top-selling beers are produced in the Twin Cities. Minneapolis-based Surly Brewing Co.’s Furious IPA ($11 a four-pack of 16-ounce cans) outsells all other beers. “So many customers tell me they’re opening distilleries in the next year, and it seems like there are breweries popping up almost weekly,” says Tom Schneider, spirits buyer at France 44 Wines & Spirits, where gin from Minneapolis distillery Tattersall ($32 a 750-ml.) outsells Beefeater and Bombay Original. Surly Furious IPA also leads beer sales at France 44; in fact, it outsells any other product in the store. According to the Brewers Association, there are around 190 breweries in Minnesota, with the lion’s share of them located in the Twin Cities. The area’s craft distilleries now number over a dozen, with others opening soon. Both sectors are surging—and thanks to recent changes in state laws, they’re only just getting started. The Minneapolis-based 612Brew produces around 2,000 barrels of beer, which are offered in the on-site taproom (pictured) and throughout the Minnesota market. For years, craft brewers were hampered by a state law that prohibited them from selling beer on-site. But Surly Brewing Co. founder Omar Ansari led a charge to allow craft brewers (defined as those producing less than 250,000 barrels annually) to sell their beer directly to consumers for on-premise consumption. In 2011, the “Surly Bill” was passed, granting that exception—provided the brewer’s municipality allows it. 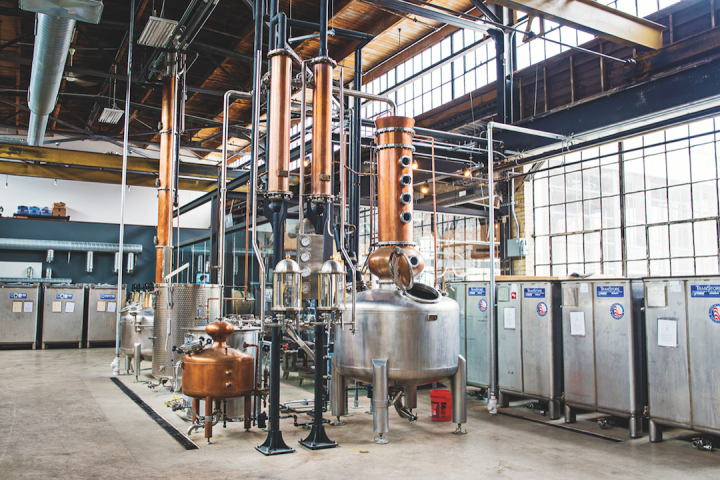 The legislation—now known as the Surly Law—also included a provision that slashed the annual cost of a distillery permit from $30,000 to $1,100 for those making less than 20,000 proof gallons annually. That change allowed budding distillers like Mary Schnitker and her husband, Tyson, to launch Skaalvenn Distillery in 2015. “Without the new law, none of Minnesota’s craft distillers would be here today,” she says. 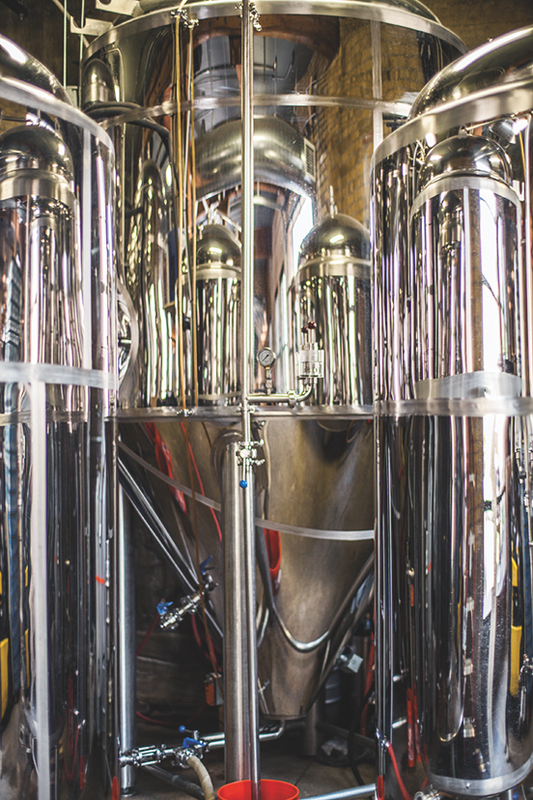 Minnesota's two largest cities share a vibrant beer and spirits culture, exemplified in craft breweries like 612Brew (equipment pictured). “When Surly came to market 11 years ago, locals started drinking Furious, and it challenged their palate,” explains Robert Kasak, co-owner of 612Brew in Minneapolis. The brewery and taproom produces 2,000 barrels annually, with three-quarters of that volume sold through the three-tier system and the rest in the taproom. “When beer nerds—myself included—couldn’t find much locally made craft beer, they would try to emulate it at home and ultimately decide to start a brewery,” Kasak says of the rapid rate at which breweries opened after the Surly Law came into effect in 2011. His brewery offers 20 different beer styles throughout the year. Its Unrated Rye IPA ($10 a six-pack of 12-ounce cans) is the top-seller both on- and off-premise. For Zac Carpenter and his partner, Joe Giambruno, St. Paul was the ideal location to open Bad Weather Brewing Co. in 2015. After renting production space from another brewer, they had established a market presence and a sales history for the brand, which allowed them to secure investors. “St. Paul attracted us because there weren’t many breweries,” Giambruno says. In its first year, Bad Weather brewed 41 unique beers, distributing only seven of them via the three-tier system, with the rest available at the brewery. Both in the 12,000-square-foot taproom and off-premise, Hopcromancer IPA ($10 a six-pack of 12-ounce cans) has emerged as the best-seller. In 2016, the company produced around 1,800 barrels, and this year, thanks to a recently doubled brewing capacity, it will likely put out around 4,000 barrels. Tattersall (interior pictured) produces more than a dozen liqueur varieties and incorporates them into many speciality cocktails served at the distillery's tasting room. 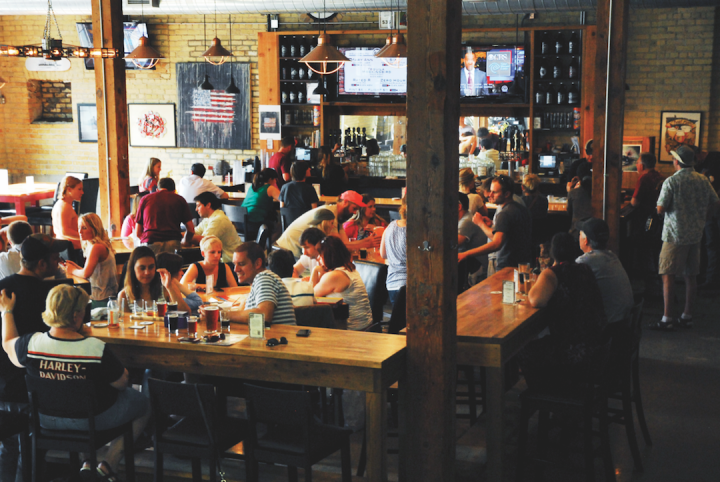 Giambruno and Carpenter have enjoyed being part of St. Paul’s burgeoning brew scene. “It’s fun to watch,” Carpenter says. “St. Paul has a ridiculously rich brewing history—it’s where the breweries set up in the 1800s, so this is a bit of a renaissance.” He notes that the former locations of Jacob Schmidt Brewery and Hamm’s Brewery are both nearby. The old Schmidt facility now houses artist lofts, while the Hamm’s site is home to a brewpub and other businesses. Tattersall’s gin ($29 a 750-ml.) is the top-selling gin and the most popular locally made spirit at both France 44 and Surdyk’s. For Skaalvenn, vodka ($20 a 750-ml.) gets top billing. Schnitker says the company moves 450 cases a month across the 300 Minnesota retailers that carry it. Local liqueurs are also trending, and Schneider says a rise in home bartending has fueled that surge. “People are barrel-aging their own cocktails and using liqueurs in them,” he says. He highlights Apple du Nord ($28 a 750-ml. ), a spiced apple liqueur from Minneapolis-based Du Nord Craft Spirits that sold 10 cases at France 44 during the last holiday season. Schneider also recommends Tattersall Grapefruit Crema liqueur ($30) in Palomas and Tattersall Sour Cherry liqueur ($34) as a substitute for Cherry Heering. “We’re a flannel-wearing, outdoorsy people,” France 44’s Schneider says of his fellow Minnesotans, 32 percent of whom have Scandinavian ancestry. “Skaalvenn” translates to “cheers, friends” in Norwegian, and Schnitker says area residents are embracing their Nordic roots. “A wave of people in their 30s and 40s are figuring out ways to connect with their heritage through food and drink,” she adds. Scott Meek, vice president of marketing for Minneapolis-based Phillips Distilling Co., has also observed this trend. “People are really looking for connections to what they’re drinking,” he says. “One way has been through Nordic cocktails.” Meek notes a marked resurgence in the consumption of aquavit. The Scandinavian spirit dates back to the 15th century and is distilled from either grain or potatoes and flavored caraway, dill seed and other botanicals. Tattersall labels its aquavit ($28 a 750-ml.) as “the Scandinavian rival to our gin” and distills the caraway-forward spirit from 100-percent certified organic corn. In the distillery’s cocktail room, bartenders serve six aquavit-based cocktails. The spirit sometimes substitutes for gin in updates on traditional recipes, such as the Stockholm Sling, made with Tattersall’s aquavit, Orange Crema and Cranberry liqueurs, pineapple and lime juices, and house-made honey-sage syrup, ($9). It also anchors original creations, like the 18th & Central, which blends toasted coconut–infused aquavit, house-made pineapple shrub, and lime juice ($8.50). “People are just going crazy for aquavit right now,” Oskey says. Tattersall cofounder Jon Kreidler agrees. “We love teaching people that you can mix great cocktails with it—both in the cocktail room and at home,” he adds. 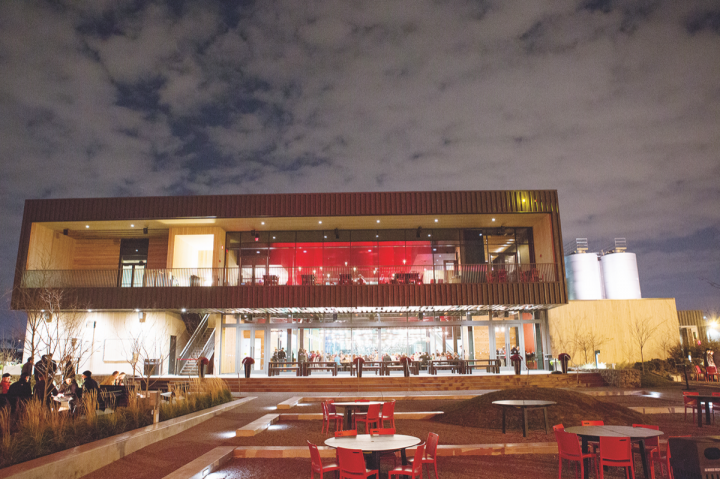 For Bad Weather, 612Brew and Skaalvenn, expansion is top of mind. 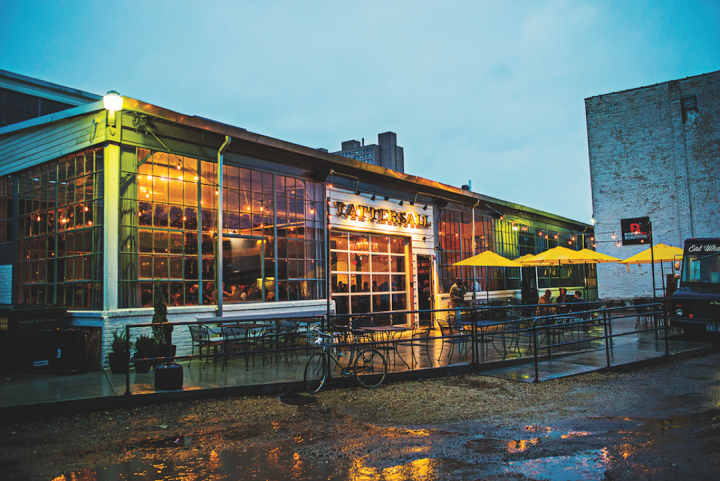 Giambruno says that although Bad Weather recently doubled its brewing capacity, they’ll continue to focus on the Twin Cities market. “We want to saturate the area as much as possible before we branch out,” he says.